I’m up in Wood Buffalo National Park for a few weeks with collaborators from the Canadian Forest Service and the University of Alberta. 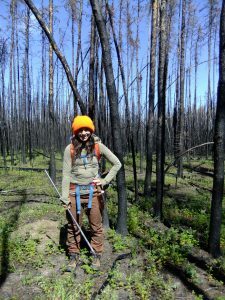 We are here looking at boreal forest fires as part of a study on the effect of return interval (how long there is between fires) on ecological communities. While the overarching project is looking at plants, they’re letting me sneak in some questions about the soil microbial communities. It’s so awesome being up here. First, it’s my first time north of 60°, which was commemorated with an official certificate at the NWT border. We see amazing wildlife every day, so far including lots of bison herds, multiple black bears, a wolf, and a pine marten. 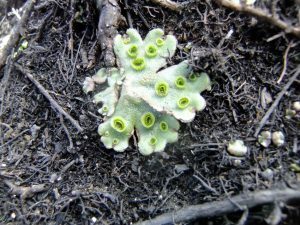 I’m learning new trees (mostly Populus tremuloides, Pinus banksiana, Picea mariana, and Picea glauca) and plants (such as the prickly rose, Rosa acicularis, and tons of sweet liverworts, like Marchantia polymorpha, which has a delightful stage where it looks like a sour patch kid [pictured]). Best of all, though, is seeing the burns here. 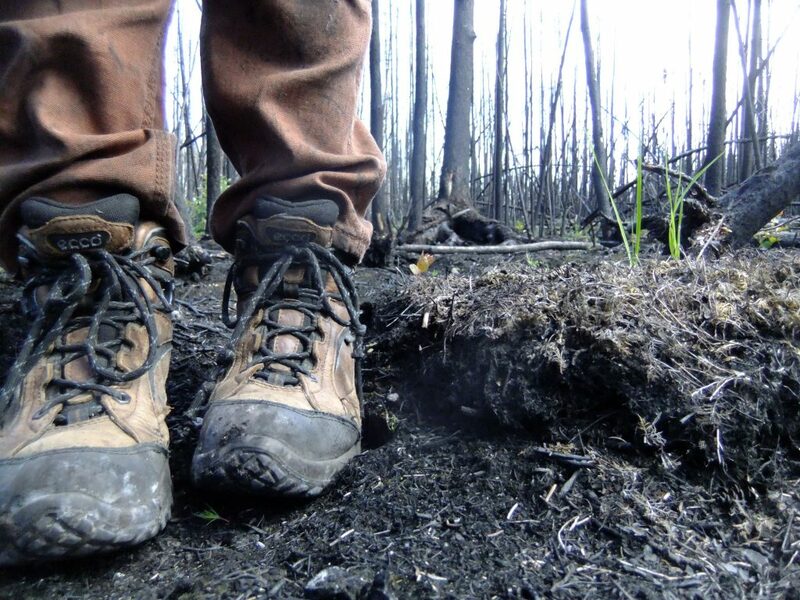 The boreal forest burns differently from many other ecosystems, in that, while not necessarily the norm, it’s much more likely for there to be stand-replacing crown fires, and if a fire returns to the area within a few years, it can result in a total “moonscape” landscape where even the large tree trunks gone. These landscapes are amazing, with the previously thick duff layer completely gone over most of the soil [cover picture]. I am really enjoying the opportunity to see this part of the country and to work with such a talented group of researchers.